חברת ריינמטל משווקת את הטנק Leopard 2 בתערכת הנשק AAD 2010 ,בתקווה שדרום-אפריקה תבחר בטנק שיחיליף את הטנק Olifant של צבא דרום-אפריקה, ובכך להפוך למדינה ה-17 שרוכשת את הטנק Leopard 2 . 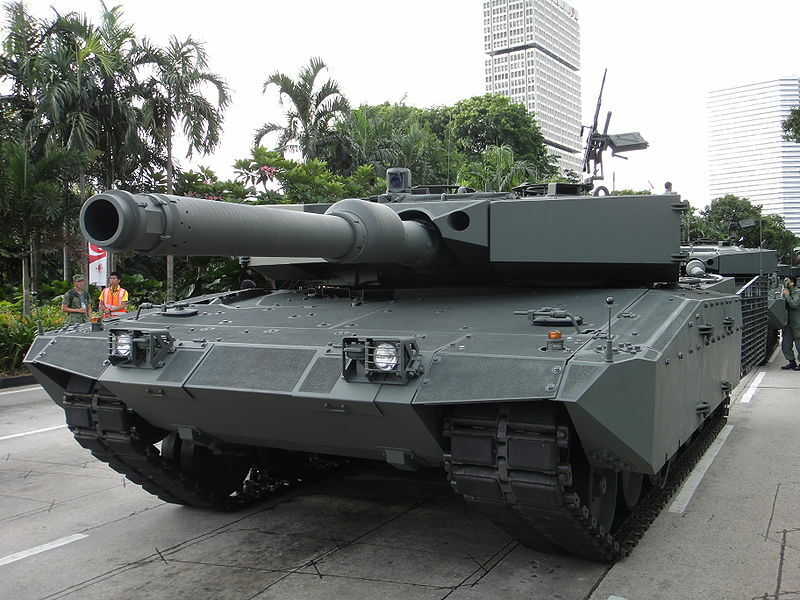 Marking the African debut of the Leopard 2A4, Rheinmetall Defence of Germany took advantage of Africa Aerospace & Defence 2010 (AAD) in Cape Town to put the world's finest main battle tank through its paces. Daily live presentations on a special test track proved to be a major draw, with the Leopard 2A4's excellent mobility in rough terrain clearly impressing the crowd. 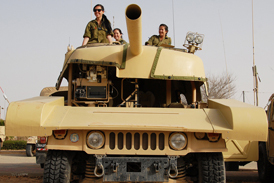 Rheinmetall has been developing and producing armoured vehicles for over forty years. The Leopard 2 continues to set the global standard for modern main battle tanks, with more than 3,600 in existence, now in service with 16 nations. 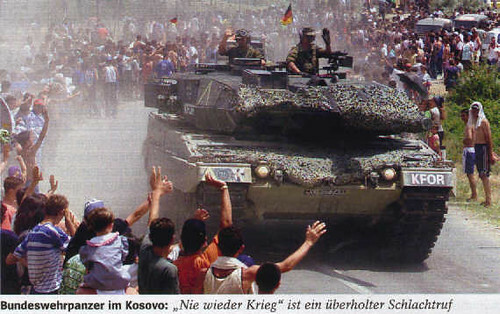 Although Rheinmetall is not the main contractor for the Leopard 2 MBT, the company has nevertheless played an integral role in its development and production. Moreover, out of a total 2,125 Leopard 2A4 tanks produced, 977 were manufactured entirely by Rheinmetall in Kiel for the German and Dutch armed forces. By supplying critical subsystems, Rheinmetall contributes decisively to the Leopard's overall performance. For example, Rheinmetall is responsible for its 120 mm smoothbore main armament, still the world's finest tank gun. This cutting edge weapon is produced under licence in the United States for the M1 Abrams, and is also found in other MBTs. The Leopard likewise benefits from Rheinmetall's globally leading ammunition technology. Developing perfectly harmonized combinations of weapons and associated ammunition families is a longstanding core competence of the Rheinmetall Group, blending system integration expertise with unrivalled kinetics know-how. Developed and manufactured by Rheinmetall and based on the Leopard, the B&uuml;ffel/Buffalo 3 armoured recovery vehicle forms an integral part of the Leopard 2 family of land systems. Likewise based on the Leopard 2 chassis, Rheinmetall's highly versatile Kodiak armoured engineer vehicle underscores the Group's competence and capabilities as a system builder. In the field of C4I and fire control technology, Rheinmetall possesses a unique selling point. Adapted to the individual requirements of the user, it supplies customized solutions that can be integrated into existing higher-echelon command and control systems. Furthermore, user nations benefit from Rheinmetall's longstanding experience in maintenance and system support – even during deployed operations. Made-to-measure logistical concepts guarantee high levels of readiness and reliability for systems in service worldwide. Moreover, the recent integration of MAN's military truck division means that Rheinmetall now has a tightly woven, comprehensive global service network. Rheinmetall's logistical philosophy also embraces the use of existing military resources as well as local contractors, thus providing users with maximum strategic independence. Rheinmetall Denel Munition of South Africa forms an integral part of the Rheinmetall Defence Group. In particular, the integration of the 155 mm L52 main armament from the company's PzH 2000 self-propelled howitzer into Denel Land Systems' outstanding G6 artillery system – earmarked for third-party customers – shows the Rheinmetall is willing and able cooperate successfully with the South African defence industry. With a view to future combat scenarios, Rheinmetall's MBT Revolution modular upgrade programme is a coherent concept for adapting the Leopard 2 and other tanks for new missions. In particular, the concept includes a fully digitized turret as well as a 360° protection package capable of withstanding the full array of asymmetric threats. 3rd generation optical sight and reconnaissance technology rounds this compelling performance upgrade suite. Finally, at its Unterl&uuml;&szlig; competence centre, Rheinmetall boasts the largest proving ground and firing range in Europe. Located near the German Army Armour School in Munster, this sprawling facility gives the company a huge advantage in developing new defence technology solutions – independently and economically. During the current Afghanistan mission, the Leopard 2 has performed impressively in the face of asymmetric threats such as landmines and IEDs, saving crewmembers' lives. Today, there is no denying that main battle tanks will continue to play a decisive role in assuring the combat effectiveness and survivability of friendly forces on future battlefields. For the South African National Defence Forces – currently reviewing possible replacements for the aging Olifant tank – this is likely to be a key consideration. נערך לאחרונה ע"י ralf בתאריך 09-10-2010 בשעה 23:49. בתגובה להודעה מספר 1 שנכתבה על ידי ralf שמתחילה ב "חברת ריינמטל מציגה את הטנק Leopard 2A4 בתערוכת הנשק AAD 2010 שנערכת בדרום אפריקה"
אני אמנם לא מומחה גדול בנושא, אבל בתור שריונר לשעבר נראה לי שצריח בגובה כזה ועם זויות כאלה ישרות, לא רק בולט מרחוק אלא גם מאוד פגיע וחדיר. בתגובה להודעה מספר 2 שנכתבה על ידי toben82 שמתחילה ב "פגיעות"
למיטב ידיעתי מדובר בדגם הבסיסי, ללא חבילות ומודולי המיגון שניתן להרכיב עליו. בתגובה להודעה מספר 3 שנכתבה על ידי efekt שמתחילה ב "למיטב ידיעתי מדובר בדגם..."
בתגובה להודעה מספר 4 שנכתבה על ידי pack leader שמתחילה ב "יש לך טעות בזיהוי"
בתגובה להודעה מספר 5 שנכתבה על ידי efekt שמתחילה ב "האמנם?" מדינות שיש להם טנקי Leopard 2A4 יכולות לבחור בכמה ערכות שידרוג, הם יכולים לשדרג את הטנקים שלהם לסטנדרט A6 ( או אפילו A7+ החדש), יש ערכת מיגון פסיבי מיוחדת של חברת IBD , וגם ערכת השידרוג של חברת ריינמטל Leopard 2 Revolution שכוללת מיגון פסיבי חדש ומתקדם וגם מערכות מתקדמות שיותקנו על הטנק (שידרוג מסיבי למתן ביצועים גבוהים ביותר). בתגובה להודעה מספר 6 שנכתבה על ידי ralf שמתחילה ב "מדינות שיש להם טנקי Leopard..."
את ה-Revolution אני מכיר וזוכר היטב מאשכולות קודמים (איך אפשר לשכוח כזה דבר יפה? ). גם לא מומחה בנושא, אבל לפי ויקי בשריון מסוג צ'ובאהם יש דוקא ייתרון לזויות ישרות (כלומר אנכיות לקרקע) ולא בשריון "משופע". האם זה אומר שלטנקים עם שריון משופע בהכרח אין שריון צ'ובהאם - אני לא יודע..
לא יודע בקשר לזה, קודם נתחיל מזה שמיגון פסיבי של טנקים הוא עניין סודי ולא ממש יודעים בדיוק מאילו חומרים הם עשוים, גם בקשר לזווית של אותו מיגון, תסתכל למשל על הטנק הבריטי Challenger 2 שנחשב לטנק ממוגן במיוחד והבריטים ידועים בשל איכות המיגון שלהם,גם לאותו טנק יש מיגון בצדדים עם זויות ישרות. בתגובה להודעה מספר 9 שנכתבה על ידי ralf שמתחילה ב "[QUOTE=toben82]אני אמנם לא..."
למיטב ידיעתי מיגון והתצורה שלו הוא נגזרת של הרבה מאוד גורמים (כמו למשל תו"ל), ולכן מה שכתבת לצערי לא קשור לעיניין כלל... אגב, למיגון פאסיבי מודרני יש רבדים רבים בתוכו ועוד שלל אלמנטים שנועדו לסכל חדירה של מטענים חלולים וחודרנים קינטיים, ולכן גם מיגון שהוא 'שטוח' הוא הרבה פעמים כלל לא כזה, אלא רק נראה כך חיצונית. נערך לאחרונה ע"י efekt בתאריך 11-10-2010 בשעה 01:32. בתגובה להודעה מספר 10 שנכתבה על ידי efekt שמתחילה ב "למיטב ידיעתי מיגון והתצורה..."
נערך לאחרונה ע"י ralf בתאריך 11-10-2010 בשעה 12:24. 20 הטנקים המשודרגים ישלחו ללחם באפגניסטן , השידורג של חברת KMW שם דגש על מיגון גבוה לטנק לאנשי הצוות, אותם טנקים ילחמו לצד טנקי Leopard 2A6M שכבר נמצאים באפגניסטן ומופעלים על ידי השריון הקנדי בהצלחה גדולה. 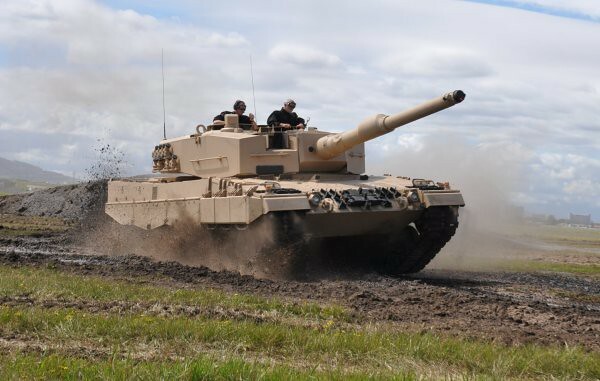 Last week, the Canadian Army took delivery of 20 modernised Leopard 2 A4M CAN main battle tanks (MBTs) from Krauss-Maffei Wegmann (KMW). The Munich-based armoured vehicle manufacturer handed over the tanks to Canadian military representative during a roll-out ceremony at the training area at Bergen, Germany. According to KMW, the enhanced Leopard 2s are soon expected to be deployed to Afghanistan in order to provide the Canadian soldiers with a high level of protection and firepower. 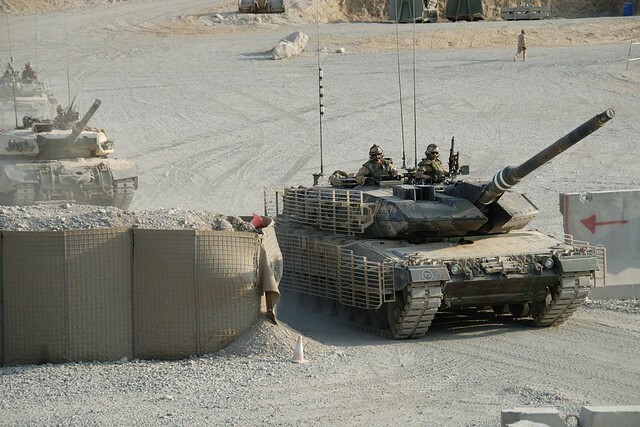 The Canadian Forces have already made very positive experiences with the Leopard 2 A6M main battle tank in Afghanistan. Besides Denmark’s Leopard 2A5DK, 19 Leopard 2A6M’s are operated by Canada in this demanding terrain and special conditions of the Central Asian country. The military leadership, as well as the Ministry of Defence, has repeatedly expressed their satisfaction with this weapon system. 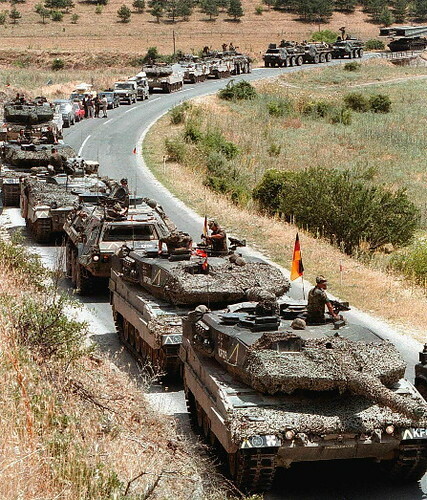 Particularly a statement by Canadian Defence Minister Peter MacKay of early 2009 underlines Canada’s recognition of the Leopard 2: “Those Leopard tanks are lifesavers. They are game changers and we want to get those tanks where they can be used to save lives and to further the aims of the mission,” the Minister said. It is the first deployment in which the Leopard 2 has been exposed to several attacks, particularly with improvised explosive devices (IEDs). Major Andr&eacute; Picard of the Canadian Equipment Management Ram for Heavy Armoured Vehicles told defpro.com at a KMW celebration for the tank’s 30-year anniversary (see http://goo.gl/VJ3T) that the Leopards had suffered an unnamed number of IED hits and were involved in several attacks by insurgents. Picard did not confirm any attacks with rocket propelled grenades (RPGs), which have become one of the major threats in the combat zones of Afghanistan. However, he emphasised that troops are very satisfied with the tank and its show of force and fire power has significantly helped to suppress attacks. Picard confirmed in 2009 that Canada would keep the Leopard 2 in the Afghan theatre as long as the mission continues. 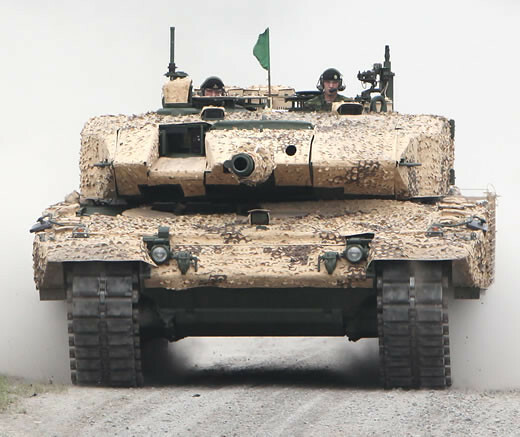 The modernisation of 20 Leopard 2s of the Canadian Forces was launched in July 2009 in order to adapt the tanks to the troops’ special requirements in Afghanistan. Thus, the successful implementation of the modernisation programme, including development, retrofitting and overhaul, took a little more than a year since the contract was awarded to KMW. 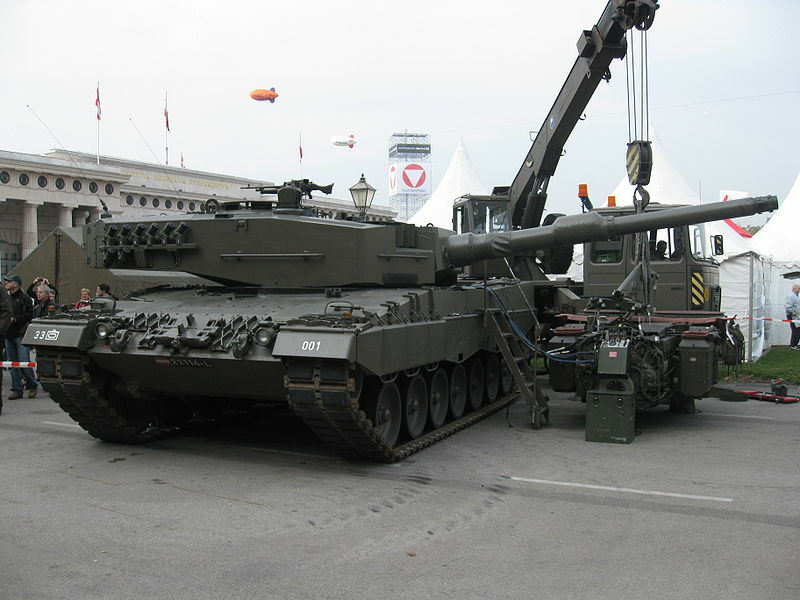 The result of this modernisation effort, the Leopard 2 A4M CAN, takes into account the Canadian Forces’ experiences with this weapon system in Afghanistan of the past years. 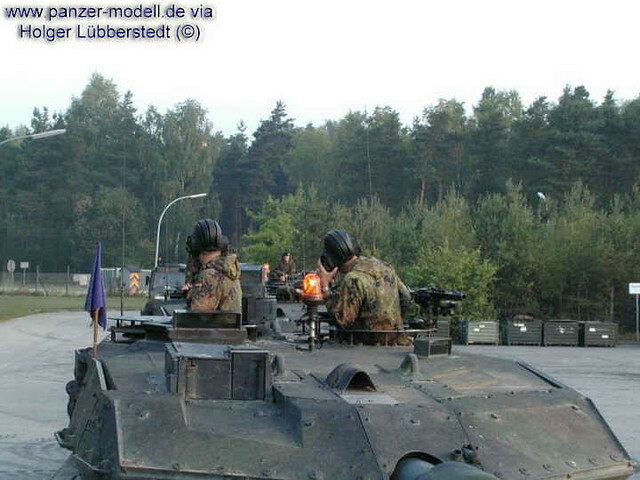 In cooperation with the German Armed Forces (Bundeswehr) and the Federal Office for Defence Technology and Procurement (BWB), a range of new technologies have been integrated with the successful basic tank platform. In addition, the tanks now feature a pioneer equipment interface, which allows the troops to carry out more tasks with a single heavy combat vehicle platform. The applicable equipment includes mine rollers, mine ploughs and dozer blades. The modernisation also takes into account the extreme climate conditions of Afghanistan’s arid southern provinces. נערך לאחרונה ע"י ralf בתאריך 11-10-2010 בשעה 12:48. בתגובה להודעה מספר 12 שנכתבה על ידי ralf שמתחילה ב "חברת KMW משדרגת את טנקי Leopard 2A4M של הצבא הקנדי"
ואללה, מצחיקים הקנדים. יכלו לקנות משהו שנראה אותו דבר בהרבה פחות כסף ממה שהעיניין בטח עלה להם. בתגובה להודעה מספר 13 שנכתבה על ידי קרן-אור שמתחילה ב "ואללה, מצחיקים הקנדים. יכלו..."
קרן-אור, מה בדיוק רצית להגיד? בתגובה להודעה מספר 14 שנכתבה על ידי ralf שמתחילה ב "[QUOTE=קרן-אור]ואללה, מצחיקים..."
בתגובה להודעה מספר 15 שנכתבה על ידי קרן-אור שמתחילה ב "שהדמיון החזותי משעשע." אני בטוח שילדים קנדים חובשים קסדות מגן כשהם רוכבים על אופניהם. בתגובה להודעה מספר 17 שנכתבה על ידי benihartmann שמתחילה ב "כומתות הטנקיסטים"
בתגובה להודעה מספר 18 שנכתבה על ידי efekt שמתחילה ב "גם הגרמנים כך - עם כומתות..."
עם כומתות , ולפעמים הם חובשים את הדברים הללו (איך קוראים לזה בעברית? ), הגרמנים מעולם לא השתמשו בקסדות כמו שיש לאמריקראים ולצבאות מערבים אחרים. אפילו שהטנקיסטים הגרמנים משתתפים בפעולות מבצעיות כמו שהיה עם המבצע של נאט"ו כנגד הסרבים בקוסבו, הם לא חובשים קסדות. זה צולם בתצוגה של הטנקים החדשים ומסירתם לשריון הקנדי, אבל בדרך כלל, בשריון הקנדי חובשים קסדות, בטח בפעילות המבצעית שלהם באפגניסטן.